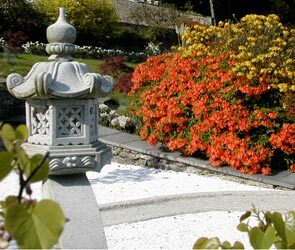 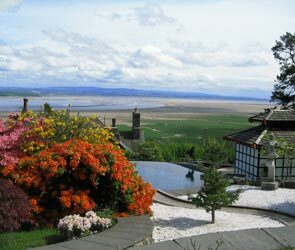 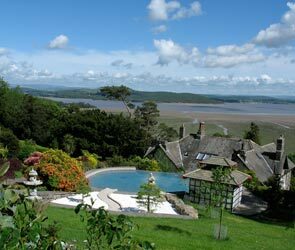 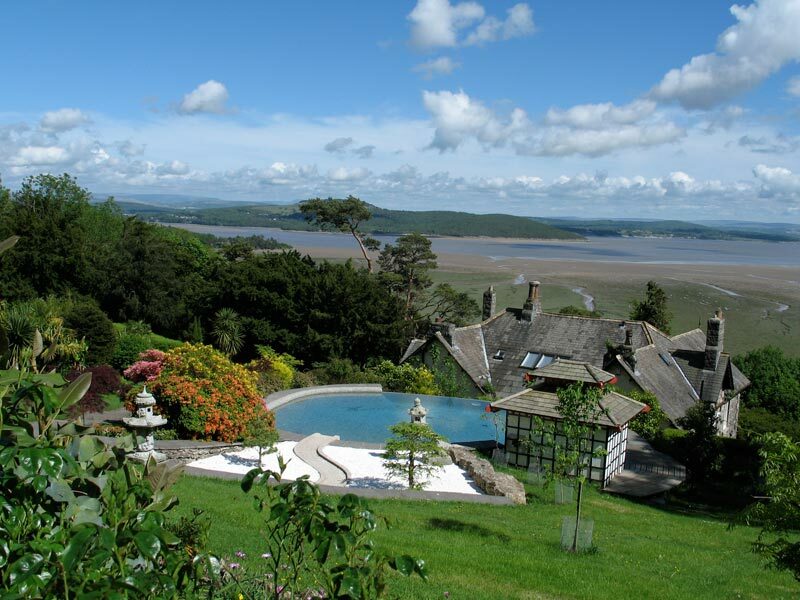 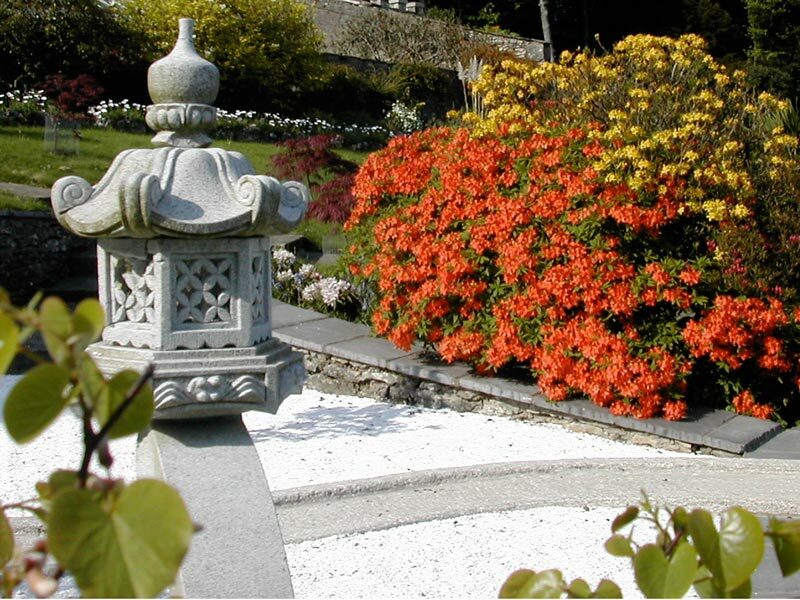 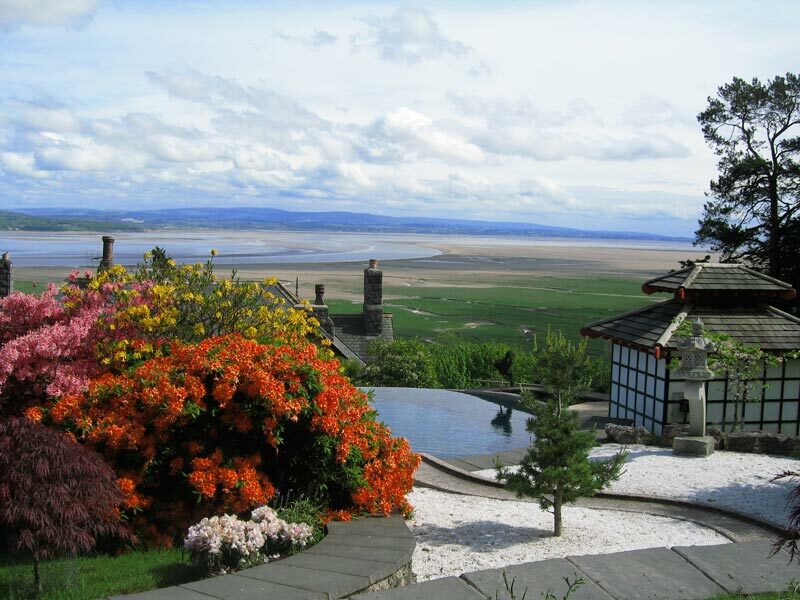 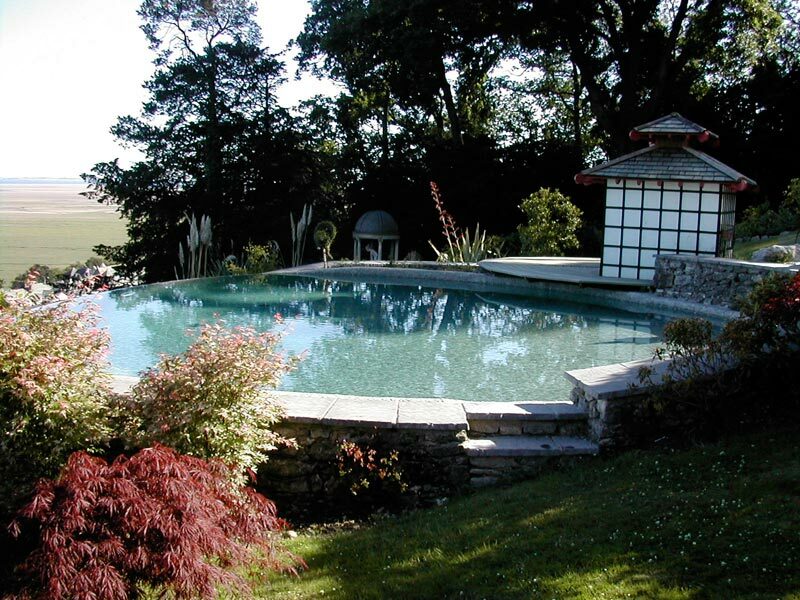 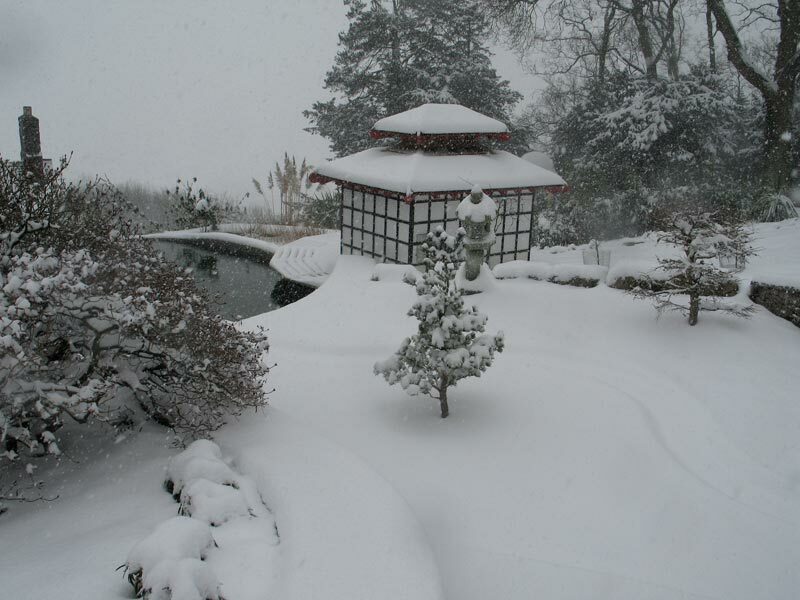 The centre-piece of the Japanese garden is the circular “hot-spring” pool which has an infinity edge overlooking Morecambe Bay. 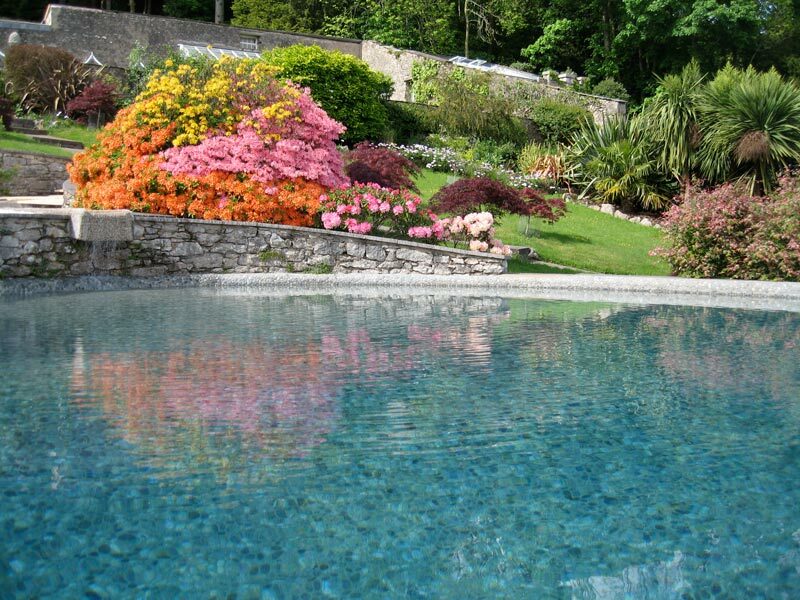 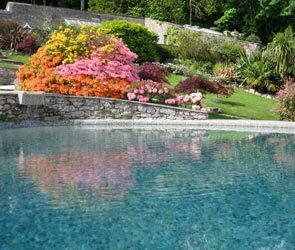 The pool is lined with pebbles and is in fact a swimming pool with a maximum depth of 5ft. 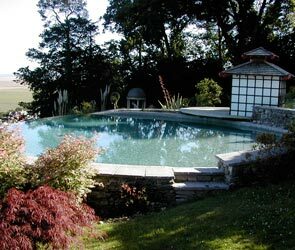 The “works” for the pool, such as the boiler and filters are hidden in the Tea House. 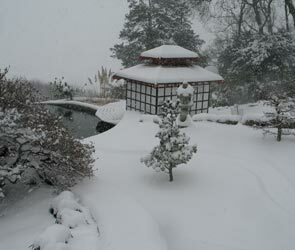 The wooden terrace is what the Japanese would call a “moon-viewing” platform.